Keen readers will already have heard of our visits to Corby in England (you can refresh your memories here), and we're delighted to say that work is progressing well! The designs for Corby's six panels have been drawn, approved, and now delivered, meaning that stitching can now commence! 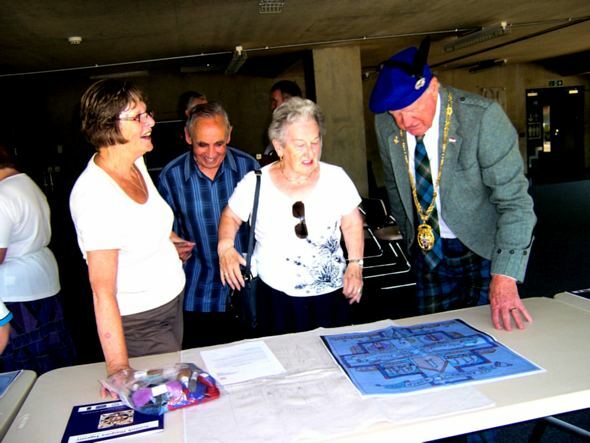 Eileen Smith [left] and Vida Brown are taking the lead for the role of St Andrew's and other churches in the success of Scottish life in Corby [pictured below discussing the design with Gordon Prestoungrange, Chair for the project]. 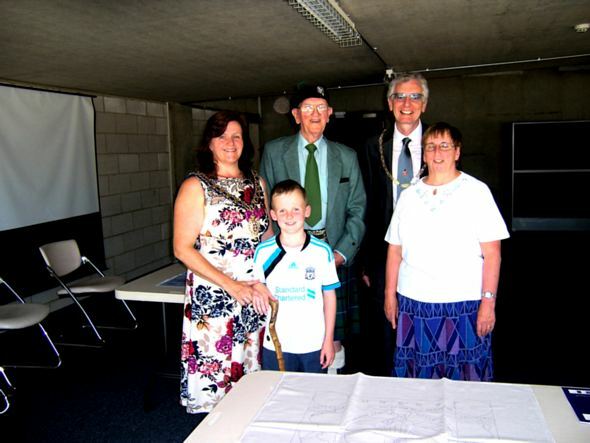 The famous PLUTO pipeline under the Channel, built in Corby's steel works to carry D Day supplies of petrol and water to the Normandy beaches and bridgehead in 1945 is being tackled by Christine Gilson and the All Stitched Up Group - pictured left below with the Mayor. The local press are obligingly covering the story of this great project in Corby and BBC Radio Northampton and Radio Corby continue to play a part with interviews and news reports. 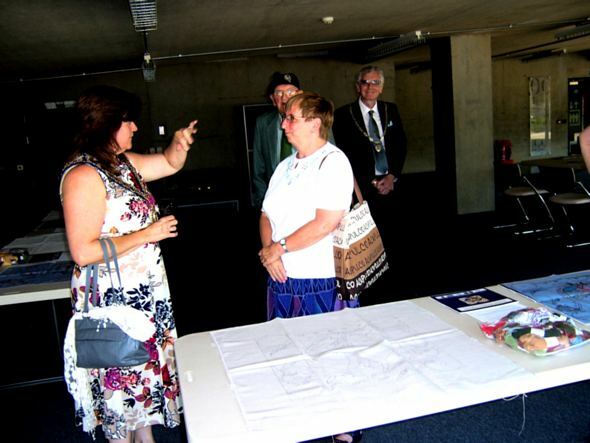 You can see all the designs for the Corby panels by exploring the Corby community page here.